Will Amy Schumer's Campaign For Gun Control Legislation Make A Difference? 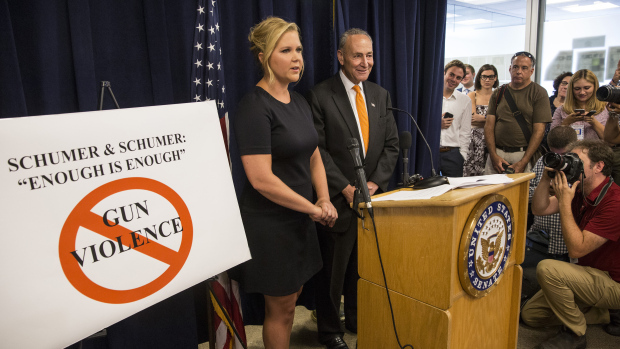 Will Amy Schumer’s Campaign For Gun Control Legislation Make A Difference? Seriously people, how many MORE shootings do we need in this country before legislators on both sides of the gun debate start working together for effective change? There have been numerous politicians and presidential candidates talking about this issue in various appearances since the Charleston massacre not too long ago where a young white mentally ill male went into a church and shot a group of black men and women to satiate his racist ideals. The latest and most public of these massacres happened yet again at a movie theater where a crazed gunman went into a screening of Amy Schumer’s new movie ‘Trainwreck’ in Louisiana and shot dead two women and injured 9 others. This became of particular interest to women’s groups as the man behind this attack was known for his anti-feminist and misogynistic rants in the media and online. In response to this, actress Amy Schumer did not stay silent, and even though we didn’t know it yet, because she hadn’t made it public, she was working behind the scenes on championing new gun control legislation. Before she did speak publicly, a woman by the name of Sarah Clements wrote her an open letter urging the actress and comedian to use her elevated public platform to do something. Sarah is in a good position to speak up about this as she is the daughter of a Sandy Hook massacre survivor. “As a woman, a daughter and sister, a national figure, and a role model, you have a real stake in gun violence happening all around you. A showing of your film — an honest, unapologetic celebration of women’s rights to our bodies, decisions, and independence — was the place a middle-aged man who, “opposed to women having a say in anything,” chose to commit a mass shooting,” wrote Sarah. “Women also bear the brunt of the harassment and violence perpetrated against our movement. The hatred and trolling of women fighting for gun reform is specifically twisted to become gendered threats and attacks. I know deep down that the tweet you sent after the shooting was not all that you’ve got. And we need your voice in this movement. Demand change. Be a voice for our generation and for women — two groups who make up most of the victims of the gun violence in our country,” she continued. Sarah also pointed out the Isla Vista shooting near Santa Barbara where a young male college student, who also had a disdain for strong women and feminists, went on a rampage and shot and killed a group of people out of revenge. She also mentioned that more women are the victims of gun violence in this country than men, and how this statistic outnumbers the troops who were killed in action during the entire Iraq and Afghanistan war. Sarah is among many Sandy Hook survivor and victims’ close family members who have become some of the most outspoken activists about gun control in the country. Not hard to see why! It was a call to arms that Amy was already on top of, and it was awesome to see. But also not surprising. In a press event with her cousin, Democratic Senator Chuck Schumer from New York, she proposed new gun control measures to tackle gun violence. Theirs was a three-pronged attack, outlining the following: firstly, to reward states for sharing information about felons, domestic abusers and mentally ill people, and denying funding to those who don’t; to get the Justice Dept to survey all 50 states on their standards for treating mentally ill people who are a danger to themselves and others; and to get Congress to fully fund mental health and substance abuse programs. An emotional Amy spoke at the press conference and shared why this issue is now closer to her than ever before. “I’m not sure why this man chose my movie to end these two beautiful lives and injure nine others, but it was very personal for me. Unless something is done and done soon, dangerous people will continue to get their hands on guns. We know what can happen when they do,” she said while holding back tears. She is not the first gun control advocate to speak publicly about the benefits of approaching this in a sensible manner that would clearly distinguish responsible gun owners from the insane and mentally ill.
After the Charleston massacre in June, President Obama issued some very strong remarks about gun control and shared some undeniable facts. “This type of mass violence doesn’t happen in other advanced countries. It doesn’t happen in other places with this kind of frequency. And it is within our power to do something about it…It would be wrong for us not to acknowledge it,” he said. In fact America is ranked as the number one country that has more gun violence than any other developed nation in the world. That is embarrassing, and for NRA enthusiasts and supporters to say more guns in schools, movie theaters and public places being the solution is irresponsible and ignorant of the real issue at hand. 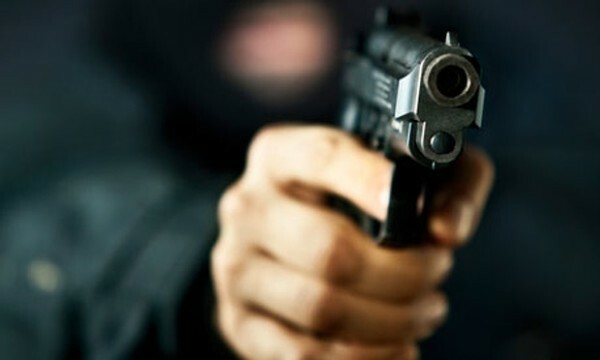 The US is often compared to other countries, some of which have successfully implemented gun control laws and brought down the number of violent gun-related crimes drastically, including Australia, Japan, Norway, the UK and Canada. The evidence of gun crimes in the US online, which far outweighs that of other countries, is undeniably (and embarrassingly) overwhelming. 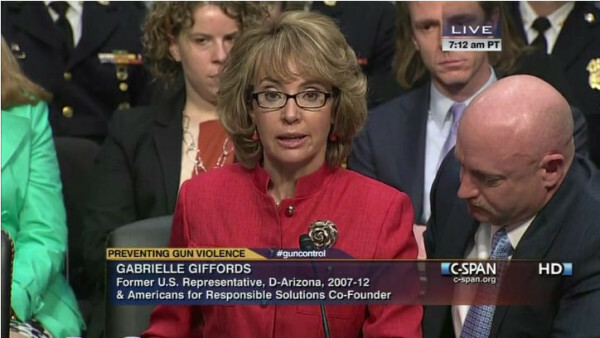 In 2011 congresswoman Gabrielle Giffords was shot in the head at a rally in Tucson, Arizona. Miraculously she survived and today, alongside her husband, is a staunch advocate of gun control and gun reform laws. Are we seeing a pattern here? Why does it take for mass shootings to happen for certain people to understand the need for better laws? There are certain conservative politicians and activists who are so vehement on the “right to life” when they crusade against abortion providers, yet in the second breath ignore that guns are a violent killer in this country. 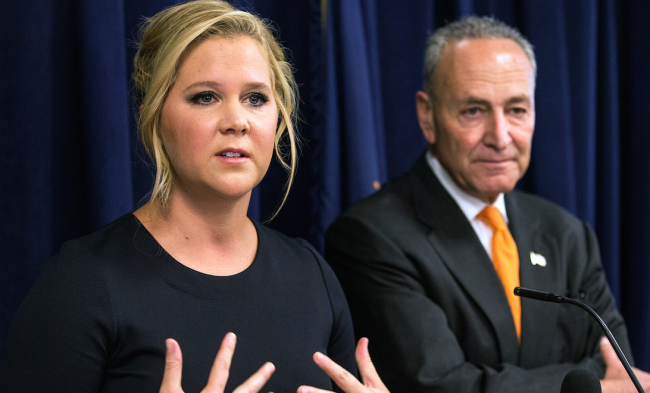 The question in the title of this post asked whether Amy and Senator Schumer’s proposed gun laws can make a difference, or even a dent in this heated public debate. With the National Rifle Association being one of the most powerful lobby groups in the nation, with very staunch supporters despite these ongoing mass shootings happening on a regular basis, it is clear that one celebrity cannot change the legislation, but adding her voice can make the case for it much much stronger. It is clear this is going to take a conscious bi-partisan effort to find ways not to take away the Second Amendment rights of law-abiding and right-minded gun owners who should be more outspoken about the mentally ill and insane few who ruin those who have good reputations. The data does not lie, nor will it stop until action is taken. Imagine the powerful change that would take place if both sides of this debate worked together for meaningful change?! 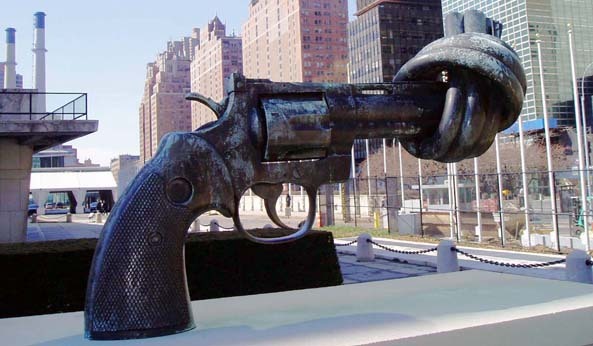 Until we live to see this day, we need more public advocates like Amy Schumer, Gabrielle Giffords, President Obama and the many other voices who hold considerable influence in our nation, to help move America away from a country that is embarrassingly known as a killer state, to a forward-thinking nation which is brave enough to make strong reforms that prevent any more violent gun-related crimes. You can read the full transcript of Amy Schumer’s speech and the press conference by clicking here.